BUCHAREST: Britain, France and Germany will launch a special payment mechanism that the EU hopes will help save the Iran nuclear deal by bypassing US sanctions, European sources told AFP. 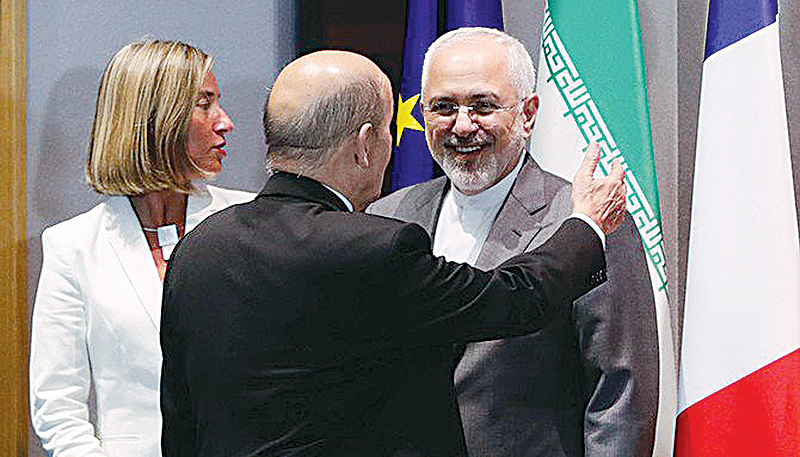 The entity, to be registered in France with German governance and finance from all three countries, will allow Iran to trade with EU companies despite Washington reimposing sanctions after President Donald Trump pulled out of the 2015 accord. The three countries-the European signatories to the landmark deal that curbed Tehran’s nuclear ambitions in return for sanctions relief-are expected to issue a joint communique launching the project, which has been in preparation for months. While the new institution, called INSTEX-short for Instrument in Support of Trade Exchanges-is a project of the three governments, it will receive the formal endorsement of all 28 EU members. The announcement may come on the sidelines of a meeting of EU foreign ministers in Bucharest. Washington has warned the EU against trying to sidestep its sanctions on Tehran, while the Europeans-along with the deal’s other signatories Russia and China-say Iran has not broken its side of the deal and should be allowed to trade. The EU has growing concerns about Tehran’s ballistic missile program, as well as its human rights record, its interference in Middle East conflicts and recent attempted attacks against opposition groups in Europe. Washington has warned it will vigorously pursue any company breaching its sanctions against the Islamic republic, and a number of major international corporations have already pulled out. Belgian Foreign Minister Didier Reynders said that despite differences over the nuclear deal, Europe shared many of Washington’s concerns about Iran. “It’s essential we show our American colleagues that we are going in the same direction as them on a series of issues such as ballistic missiles and Iran’s regional activities,” Reynders said as he arrived for the EU meeting.